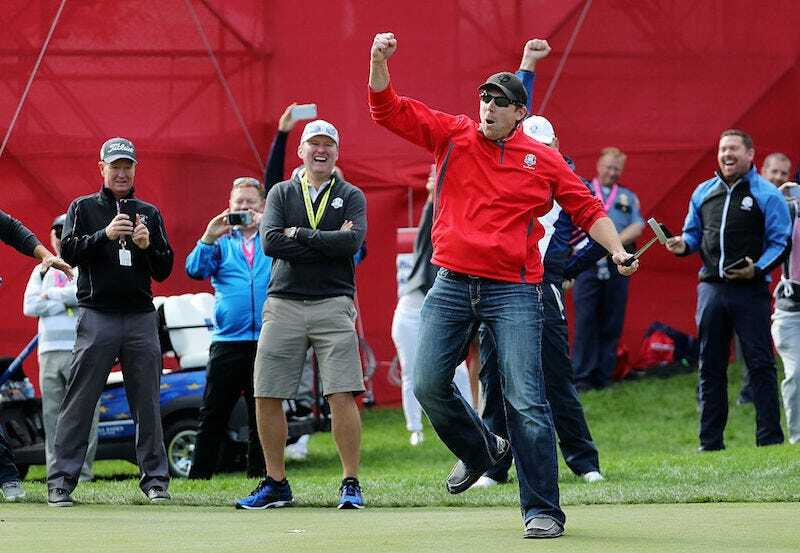 There was tension between the Americans and Europeans at the Ryder Cup thanks to Danny Willett’s brother, but one American heckler in the crowd may have smoothed things over during today’s practice at Hazeltine National Golf Club. Brian Murphy of the St. Paul Pioneer Press caught up with Johnson afterwards, who sounded like he was still trying to process what had just happened. 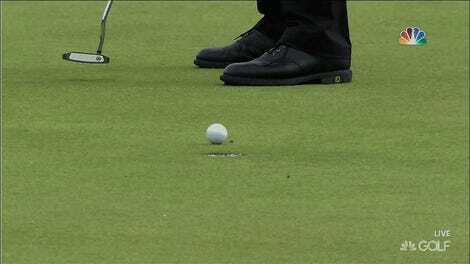 “I closed my eyes, swallowed my puke, and hit the putt that happened to go in, so that was cool,” he said. The man did it in jeans. Anything is possible.